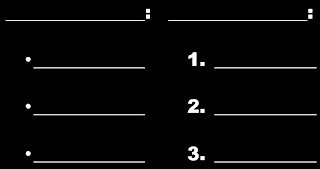 Parallel structure is the grouping of like grammatical or conceptual terms in the same word or phrasing pattern. Parallel structure shows up in all sorts of situations, including lists. Using parallel structure achieves clarity and conciseness. The circuit breaker must be turned off. Grounding the wires is imperative. 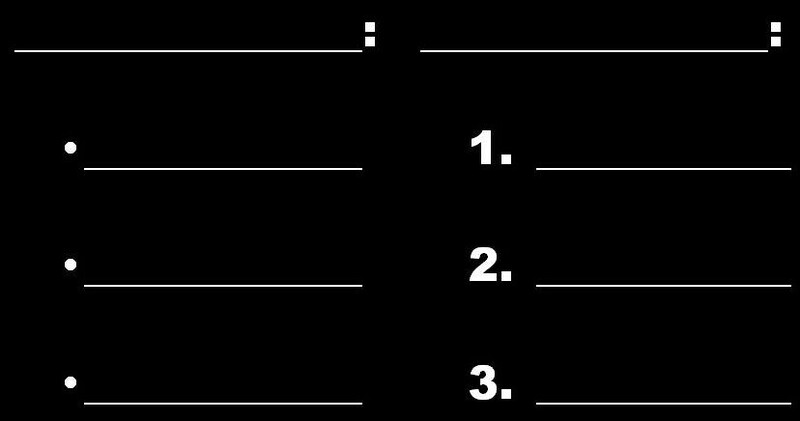 Lead into lists by either of two methods: with a complete sentence including a key word or phrase, or with a fragment that each listed item can complete as a sentence. The two examples below convey similar information but vary in their approach to the content. The key phrase security precautions, may bring clarity to an unfamiliar reader, but it also may be too obvious for a reader more familiar with the process. Base the one you choose on your readers' knowledge and your relationship them. Using Bullet Points Effectively, Part 2: Bullets or Numbers? Insure the property for $5 million. Install burglar alarms at all external entrances and internal offices on the third floor. Assign a security guard to the property 24/7. Apply to IT Security for clearance. Create a temporary ID on our intranet. Request a permanent ID upon her first arrival in our office. Item 1 is due by December 31, and Items 2 and 3 are due by April 15. They probably would not know how to write effective paragraphs if they do not know how to use bullet points. They can use bullet points to highlight key ideas for their readers. In this and the next three posts, I will cover techniques for effectively using bullet points. Let’s start with why bullet points are so helpful by contrasting a traditional paragraph with a bullet list. We are deferring our decision to terminate the consultant’s contract for three reasons. First, the new XYZ contract requires her technical skills, which no one in our team has. Also, she has deep experience in working with XYZ. In addition, we will be short-staffed when the XYZ contract begins in July because of vacation schedules. You might argue that the bulleted version omitted important detail from the paragraph version (i.e., the consultant’s technical skills are unmatched only on our team, and many of our staff will be on vacation in July). I would have no argument with this point. Nevertheless, the key information is easy to capture in the bullet list, and the bulleted word count is less than half that of the paragraph. The point to remember here is that when you catch yourself using a bunch of words like and, also, in addition, and finally, you probably have an opportunity to list ideas, which will help them stand out. So list those ands. Chances are that for any viewpoint we take or for any choice we make, the spirit philosopher is not far away, saying, “Been there, done that.” As original as we like to think ourselves, our predecessors have figured out—or have certified that none of us can possibly figure out—the hidden meaning of our experiences, motives, and conduct. That’s what makes reading Julian Baggini’s and Peter S. Fosl’s The Philosopher’s Toolkit: A Compendium of Philosophical Concepts and Methods so engaging. The authors have thoughtfully organized this book to serve as both a brief history of philosophy for students of Western thought or as a user's manual for decision-makers working through complex philosophical theories and strategies that have guided writers, lawyers, doctors, scientists, rulers, and business people for more than two millennia. 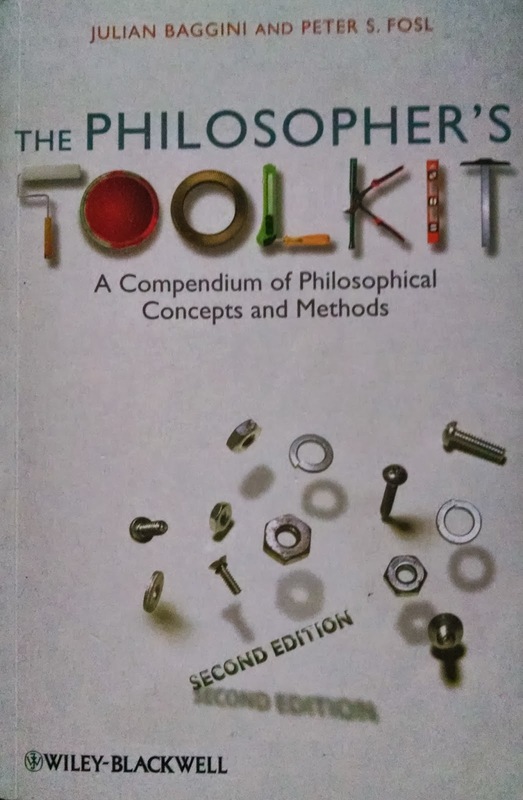 According to The Philosopher's Toolkit, the "tools" for analyzing problems and deciding on fundamental issues are there for the taking, from deduction and induction to refutation, categorizing, synthesizing, and critiquing. This book explains the foundations of our reasoning, without overstating their value or bypassing their limitations, with clear definitions, practical examples, and useful suggestions for their application. Baggini and Fosl succeed in concisely detailing the depth of philosophical staples such as empiricists' skepticism, Ockham's razor, and Kant's categorical imperative, which are more complex than they seem; similarly, they clarify complicated terms such as a priori/a posteriori experiences, the Heideggerian critique of metaphysics, and the Foucaultian critique of power, all of which generally require more than a surface reading to grasp their essence. If you feel that arguments all too often are baseless, unreasonable, and inconclusive, you will discover why and how to counter them in The Philosopher's Toolkit.